Jeanne Albaugh has spent her life in service to the homeless, but when she fell and broke her back while inside a fast food restaurant, she not only lost her life long dream of becoming a world champion in barrel racing, she became homeless herself. Once she realized her dream would never materialize, she fell into a deep depression and got addicted to pain killers. Her husband eventually divorced her and she lost her three children. 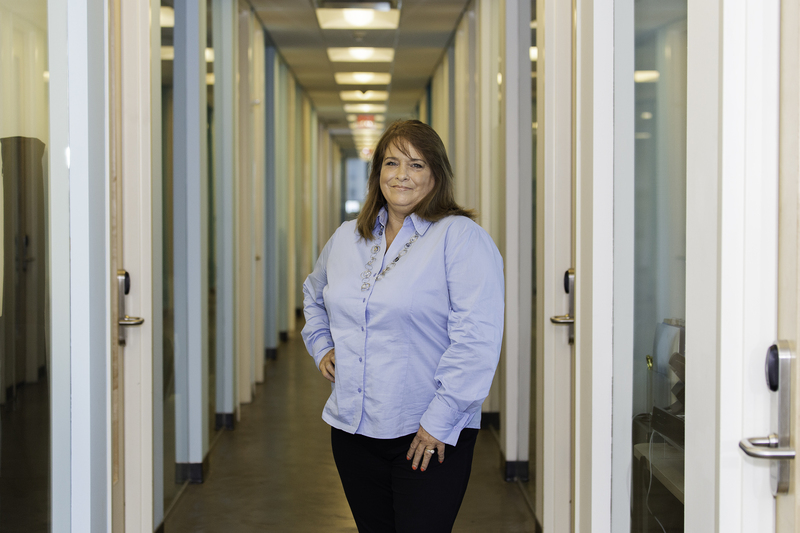 Jeanne, who gave so much of herself to the homeless, now found herself living under a bridge. 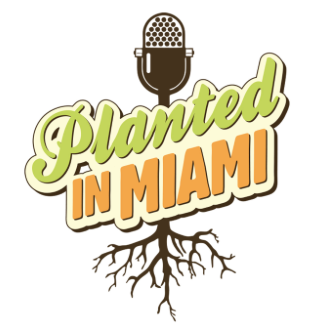 Even though she attempted suicide several times during this difficult and challenging time, it was a letter from her son that helped her emerge from this darkness and take back control of her life. 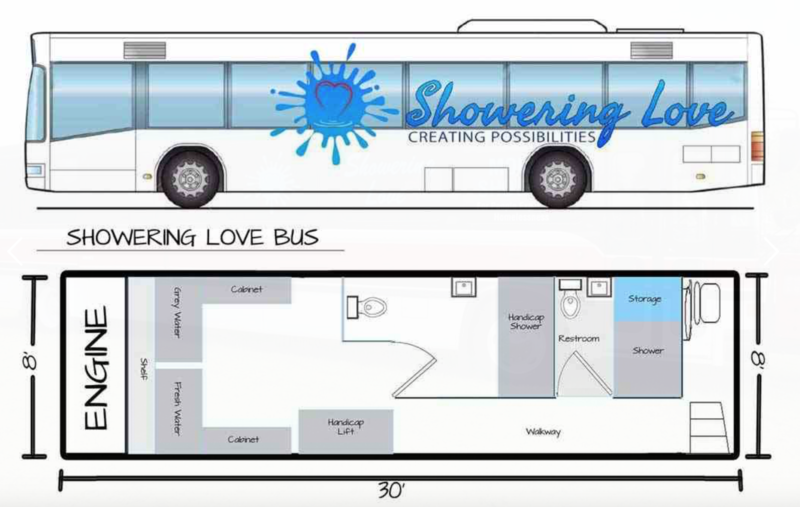 Now Jeanne is the founder and CEO of Showering Love which provides mobile showers to the homeless via a converted 42 foot city bus. 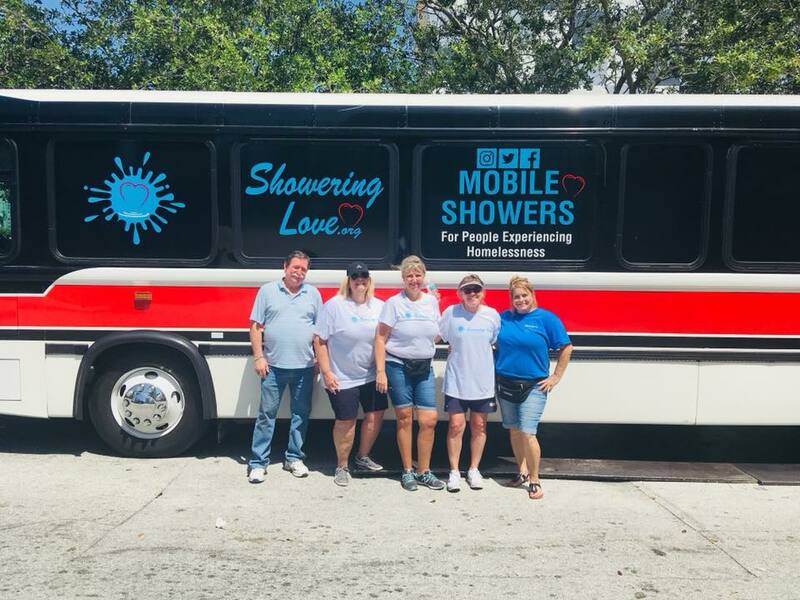 Not only do these showers provide a safe and comfortable place for South Florida’s homeless to bathe, it also restores dignity and hope to those who are too often forgotten and shunned by society.